Check it out! I actually made it to a show before it left the theaters! Yippee! And the kids sat through the whole thing, which means I got to watch the whole thing from beginning to end without having to leave for a potty run or break up a fight. This, my friends, is a small miracle in itself. What can I say about this movie that hasn’t already been said? Being a Disney, it’s gotten more than it’s fair share of media attention. People are calling it revolutionary and unique. And they’re right. We haven’t seen anything like this before. The story of Inside Out is layered. The inside layer is a story all about Joy, one of the emotions that live inside of Riley’s head. Joy is determined to help Riley always be happy no matter what happens. 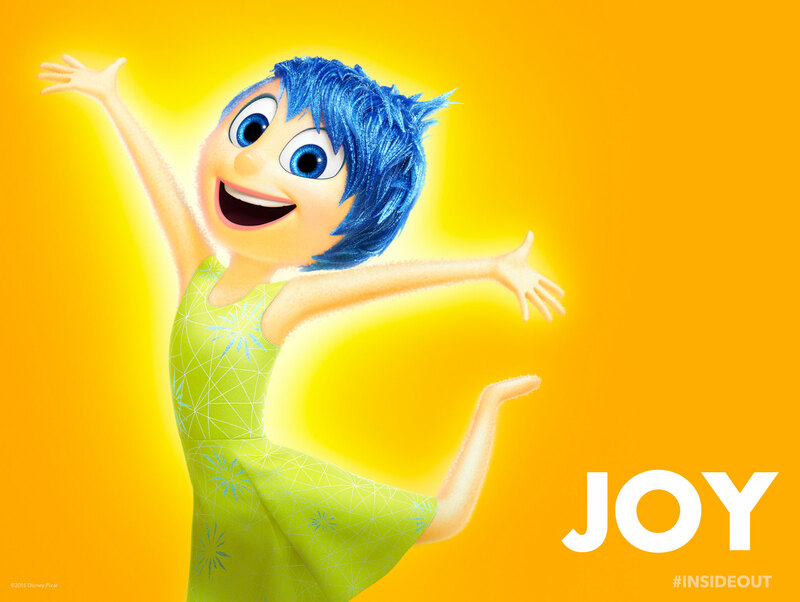 Joy lives along side her fellow emotions anger, sadness, fear, and disgust. Each of these emotions can use the master control panel that control how Riley reacts in any given circumstance. The outside layer is Riley’s story, a happy eleven-year-old, who loves her family and being silly and playing ice hockey. However, everything changes when Riley’s family moves from the Minnesota to San Francisco. Riley finds herself in a new school and new surroundings, everything is different and for any child, different is stressful and scary. Still, Joy is determined to make things work and help Riley put on a happy face, even when she has some very real problems that need to be addressed. Joy forces Sadness to stay out of the way and refuses to let her take the controls. Joy’s efforts only make things worse and she and Sadness accidentally both get sucked out of headquarters and down into long-term memory storage. This means that Riley can’t feel either joy or sadness and is stuck with fear, disgust, and anger. Joy and Sadness must find a way back to headquarters before Riley makes a decision that might destroy her life. I thought Inside Out was adorable and perfect for my young kids. It opens up avenues of discussion about what different emotions are and why each are important at the right time. The movie is clever, funny, and poignant and will send you home thinking about it for a long time. One of my favorite parts (don’t worry, no spoilers here) is when we are allowed to see the headquarters inside different people’s and animal’s heads. Everyone and everything has the same set of emotions but each act very different depending on who or what they are. It comes at the very end of the movie and is hilarious. 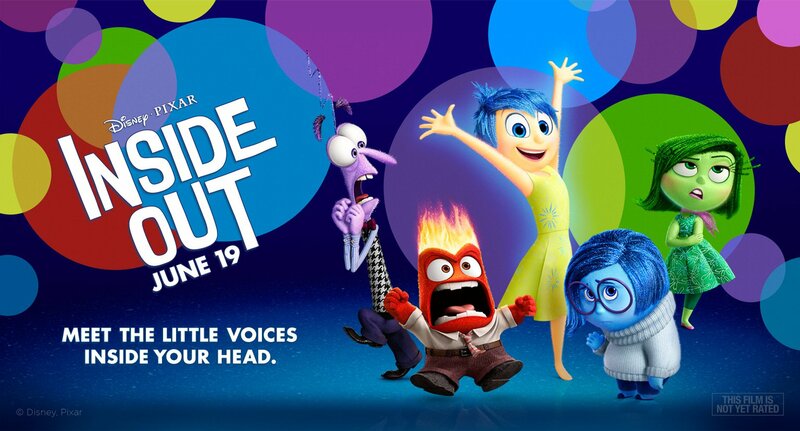 If you like cute, imaginative, feel good movies with a message then you will love Inside Out. It’s not just for kids, it’s good for anyone who likes to think and feel. However, there is a silliness warning. There are a few parts that do get a bit silly. If you get uncomfortable with things that are silly or childish then you might want to proceed with caution. 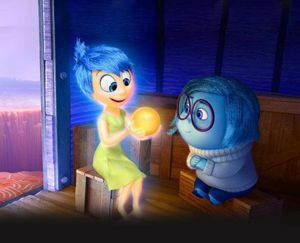 This entry was posted in Movies and tagged Disney, Inside Out, Movie Review by Jodi. Bookmark the permalink.